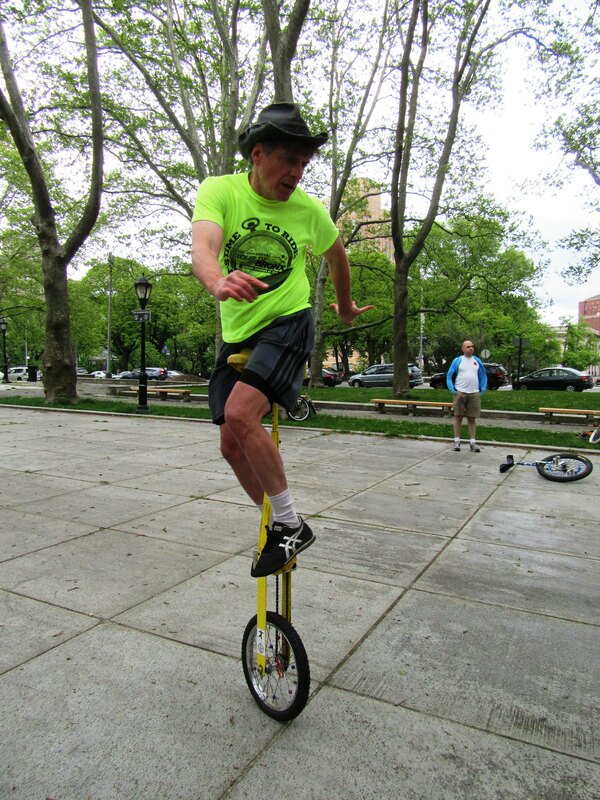 This past year represents the tenth consecutive year of me snapping photographs at unicycle meetings and at unicycle events and posting the photo to our Flickr site. If you visit our Flickr site and navigate to one of our earliest albums you will see photographs recorded on a old Nokia phone. That phone was able to record 2 mega pixel images at the time. With the resolution of today's displays, those photos will not look that good. Fortunately, soon after recording those photos, I purchased an actual Canon portable camera and began recording 5 mega pixel images. For the last three years I have been recording 18 mega pixel images on a newer camera. 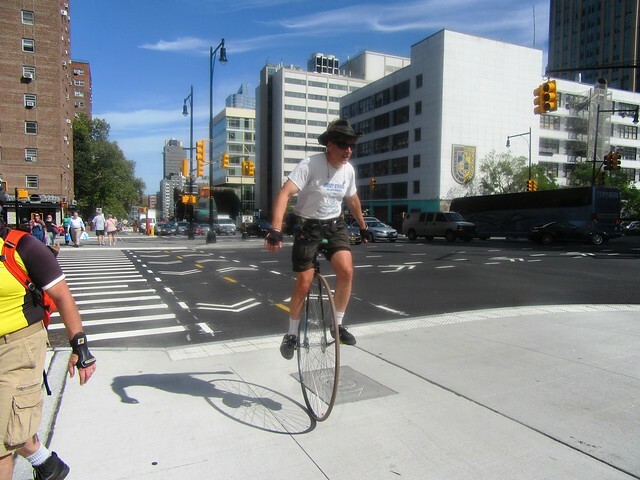 Coincidentally, for those phone images and also for the best of photos of 2014 when I purchased my latest camera, I featured a photograph of David Bagley riding his Crab Cycle unicycle. For those of you that are not familiar with the Crab Cycle unicycle built by Tom Miller, it is set up so that as you pedal forward it will travel sideways. In the photo David is pedaling forward and traveling to his right. It is by additional coincidence that David's Crab Cycle ridden by another club member was featured a just year earlier in the best of 2016 album. You can read the article that I wrote for last year's album. For the best photos of 2017 I am again featuring David Bagley and his Crab Cycle. At this time, although I am featuring David for much of the same reasons as I did for 2014, I have additional reasons for 2017. For the unicycle meetings that occurred in 2017, he provided much support by attending a majority of meetings from January through October. He drives over to New York from his home in New Jersey in his little subcompact Honda Fit. His car is always fully packed with unicycles and juggling equipment including the Crab Cycle in the featured photo. A few of the cycles that David brings along with him were built by Tom Miller of the Unicycle Factory. 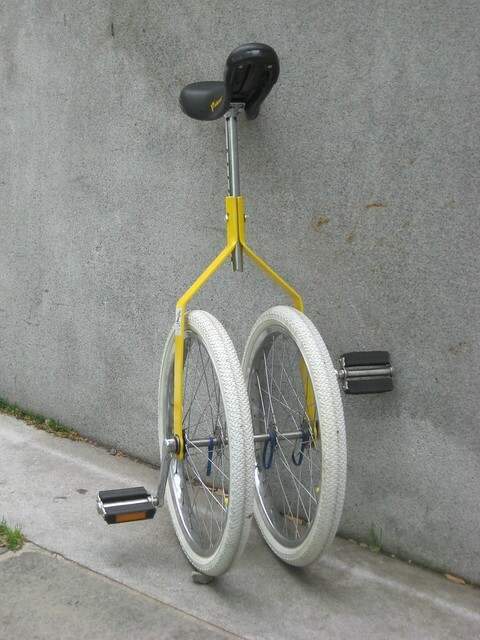 a sample of those include the double parallel wheel unicycle, A unicycle that that pedals backward to roll forward and a unicycle with a 43 inch wheel. 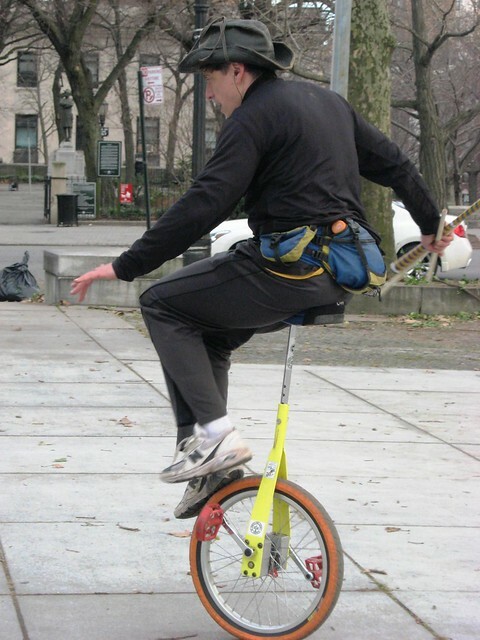 David serves as the Unicycle Factory website designer and administrator. If you are not familiar with Tom Miller or his work you can check out the recently published Youtube documentary about his work. This year as in year as past, I had difficulty restricting the number of photos to a reasonable number. In 2017 my job was made a little easier since we had a lot of meetings that were cancelled or just not well attended do to poor weather. I was able to keep the selection down to just 100 images. I hope that you enjoy them. Please take the time to look at some of the other albums on the Flickr site that these photos are selected from. You can click on the above image or the following link to go to directly to a slide show of the Best of 2017 images.